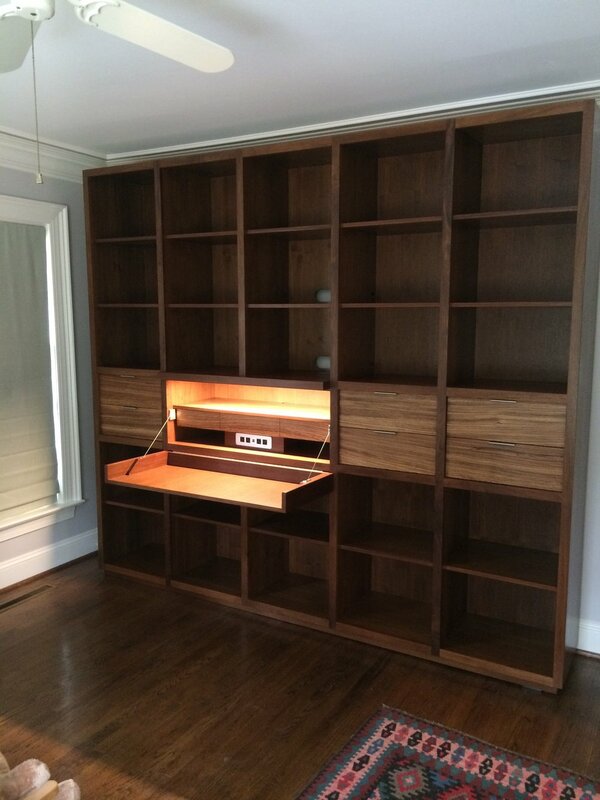 We needed a very particular type of multi-function bookcase/drop-down desk/drawer system that could only be achieved with custom furniture. Matthew and I met numerous times (when convenient for me) to discuss the design, wood species, specialized hardware, and finishes. Matthew was able to turn around options for our consideration sometimes faster than we could respond! The final product is outstanding and reflects our needs and aesthetics. Working with Matthew and Woodleaf was very straightforward, pleasant, and hassle-free. Woodleaf has my highest recommendation. Mathew and his team helped restore an antique, roll top desk for me. His professionalism, personal approach and craftsmanship were outstanding. A quick tour through his impressive showroom will leave you wishing you had more space in your house for his original and finely imagined pieces. I've worked with Matthew and the folks at Woodleaf on both commercial and residential projects for a number of years. I've always been amazed by Matthew's deft design sense and his and his colleagues' craftsmanship in bringing ideas to life. I'm an artist, and his work inspires me. If you have an idea, rest assured Matthew and the Woodleaf staff can make it a reality. Whether it's a bed or a desk or bookshelf that hides an elevator, Woodleaf can make your ideas happen. Love these guys!